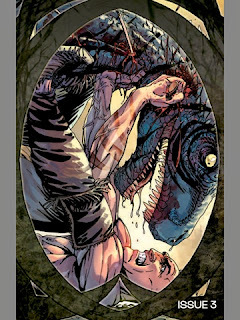 This book is the revival of Turok the Native American dinosaur hunter that first appeared in 1954. In this new series the story plays off on the arrival of explorers in search of gold to the new world they deem filled with savages. With them these explorers bring large reptilian like monsters they unleash on the Natives. 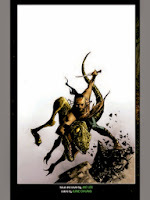 Turok the outcast is the only one with no fear and brave enough to fight them off. 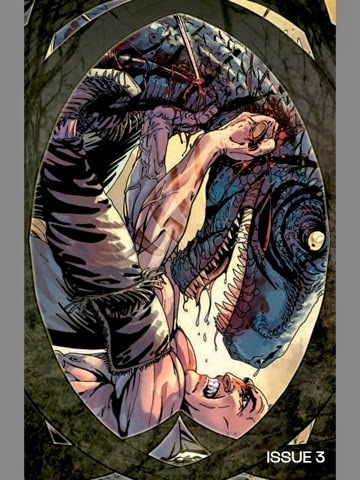 The story is engaging and the illustrations are so cool, I mean who doesn't love dinosaurs. This looks to be a very promising start for a revival of the series, as there is so much potential for where this could all go. This is a must for all who love action and again dinosaurs.